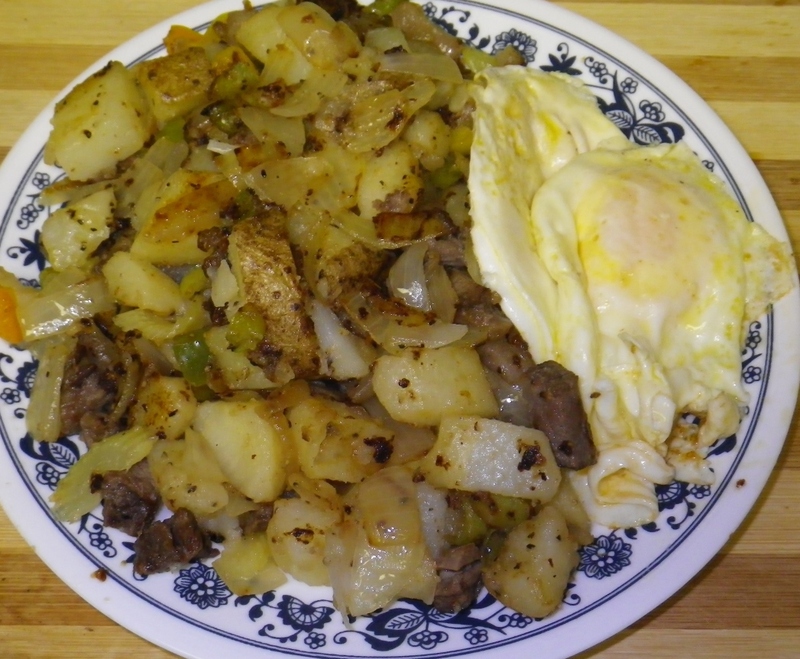 A great part of a hearty breakfast on a cold Alaska morning, Musher’s Fried Taters are a frequently asked for favorite at what we jokingly refer to as the Twenty Mile Kennel Bed and Breakfast. Sometimes I prepare ahead. The night before I prepare the potatoes, peeled or with the jackets on, by microwaving until almost done. Allow to cool on the counter then wrap with plastic wrap and store overnight in the refrigerator. In the morning dice as usual. Already cooked, all the potatoes have to do is brown to make a quick and easy fried potato dish. 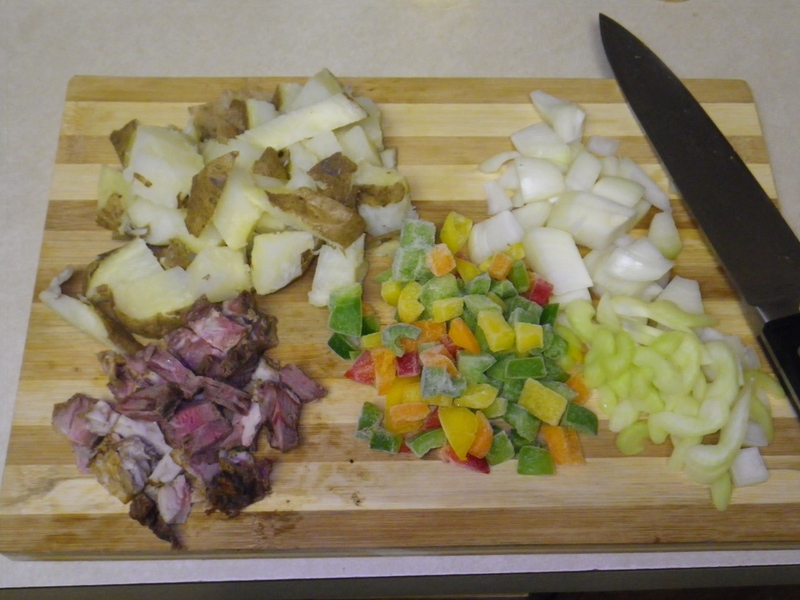 Whether by design or by chance, if there is left over meat in the refrigerator, it makes an excellent addition to the hash. If not, bacon bits can work wonders. Other things in the refrigerator can also be used; vegetables and such are flavorful additions. Scrub potatoes for skin-on, or peel and dice into ½-inch pieces. Heat pan, add oil. Add potatoes. Stir to coat all potatoes with oil. Fry and stir often over moderate heat for about five minutes. Add diced left-over meat and stir into the mixture. If using bacon bits, add in the last few minutes of cooking. Season with pepper and seasoned salt. Caution: you can always add more later - taste first. 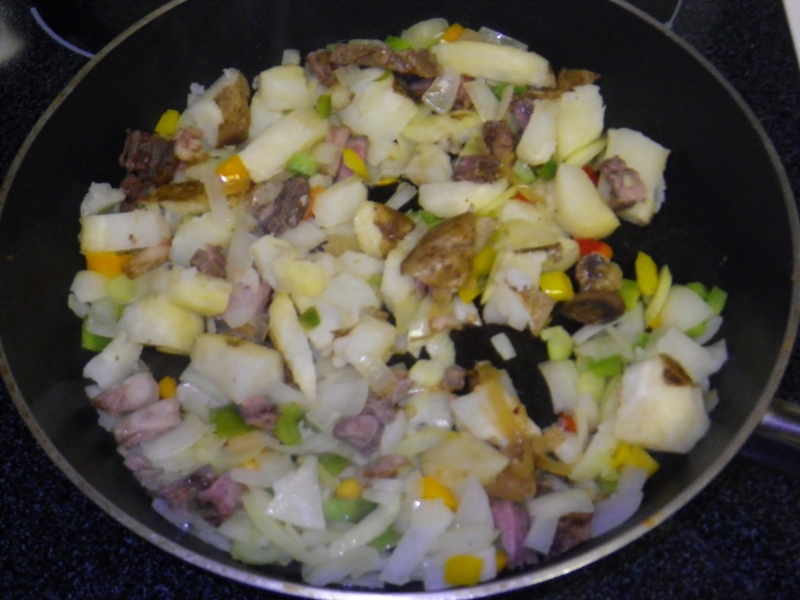 Stir frequently to brown potatoes lightly on all sides. As the potatoes cook, the shine of the oil will diminish and the potatoes will become dull. When dull, add bacon bits, stir; allow to deep-brown for serving.